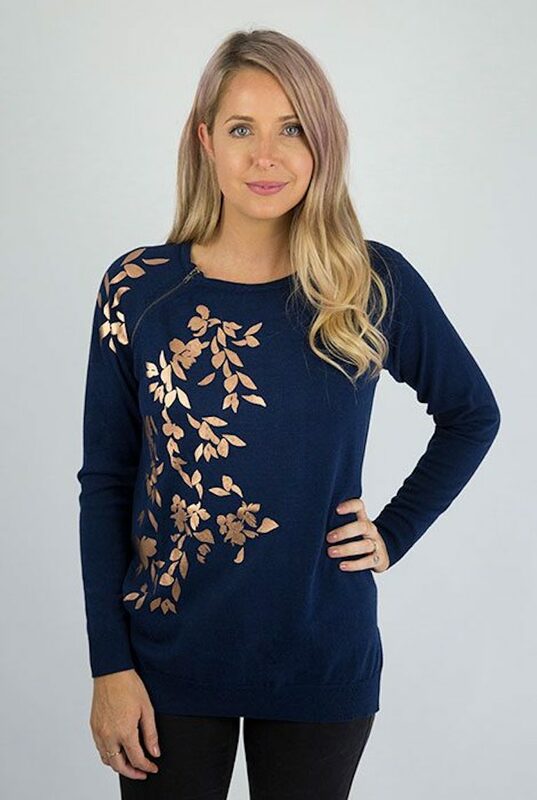 This rose gold foil printed breastfeeding jersey will bring a little bit of luxury to your life! This printed breastfeeding jersey offers discreet nursing access through zips on the raglan sleeve seam. 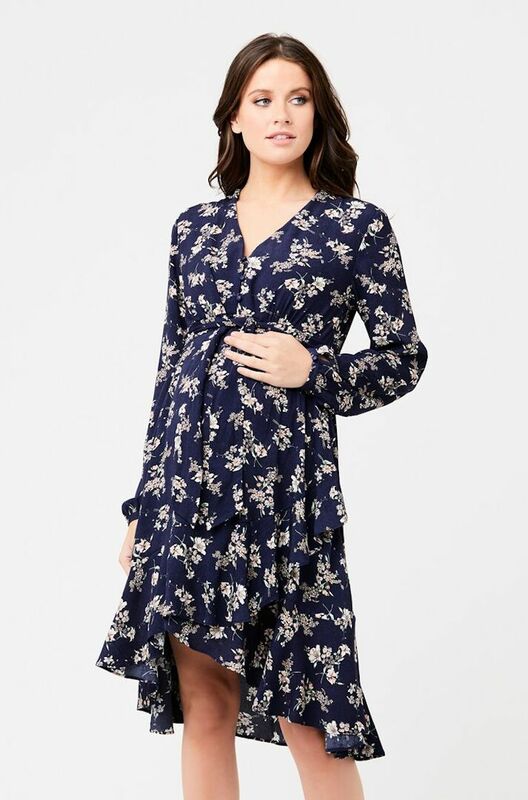 A viscose cotton fully fashioned knit with a loose fit style with side splits and this style offers plenty of room for your growing baby bump. 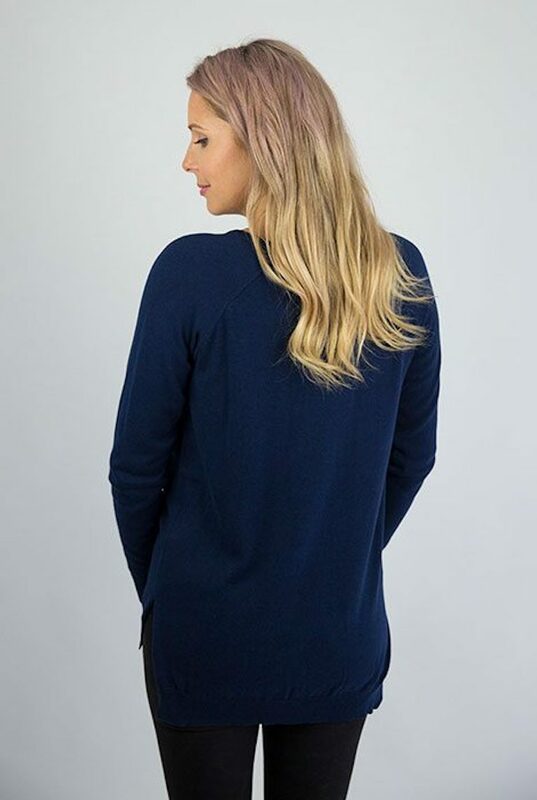 The gorgeous midnight blue colour works with a range of colours and will look perfect with your blue denim maternity jeans. 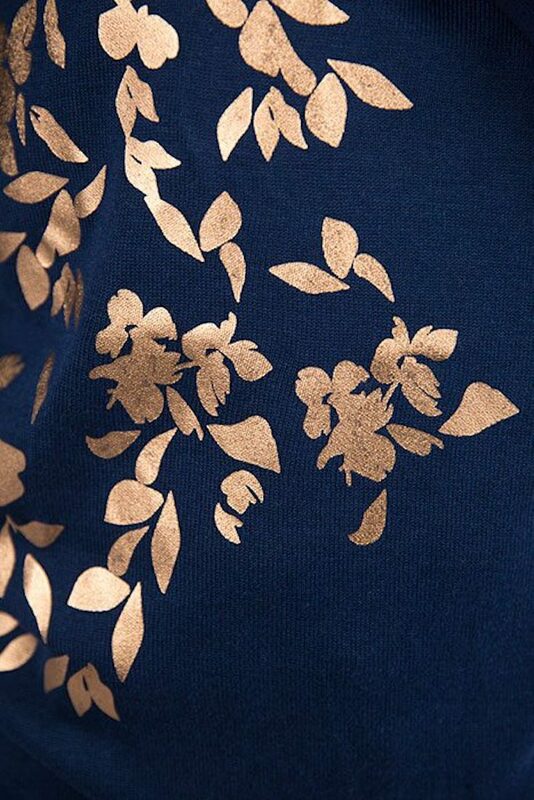 This style features rose gold foil on the midnight blue jersey in an abstract floral print. The foil prints is the perfect way to brighten up your winter outfit. The exposed antique metal zips which allow you to breastfeed look like a design feature rather than obvious nursing access. So you can wear this style long after feeding. Sizing Guide: The sizing on this style last season was very generous and we advised customers to go down a size. This year we have CHANGED THE SIZING so you no longer need to go down a size. Please note: The foil print is more delicate than a normal print. It must not be washed in hot water or with harsh chemical detergents.